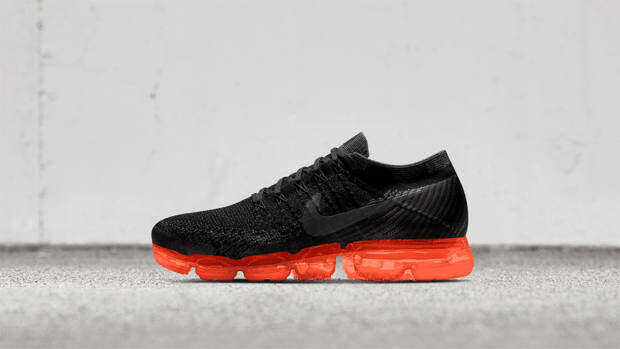 Since day one, Johanna Schneider, Senior Design Director for Nike Sportswear Women&apos;s Apparel, has had an affinity for the Air VaporMax silhouette. 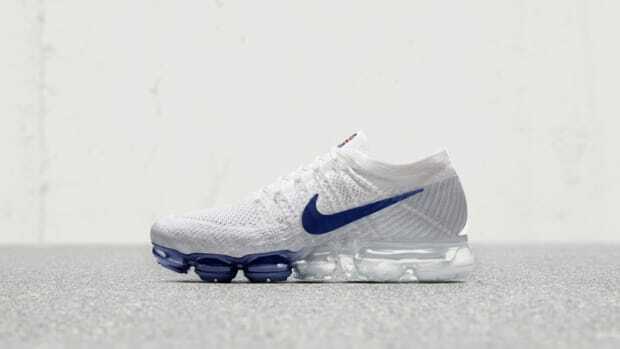 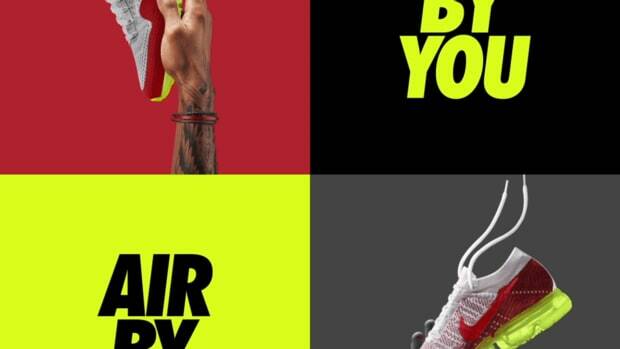 She explains that "What I love about the Air VaporMax is that from a visual standpoint, it contains the purest form of two key Nike innovations: Nike Flyknit and Nike Air. 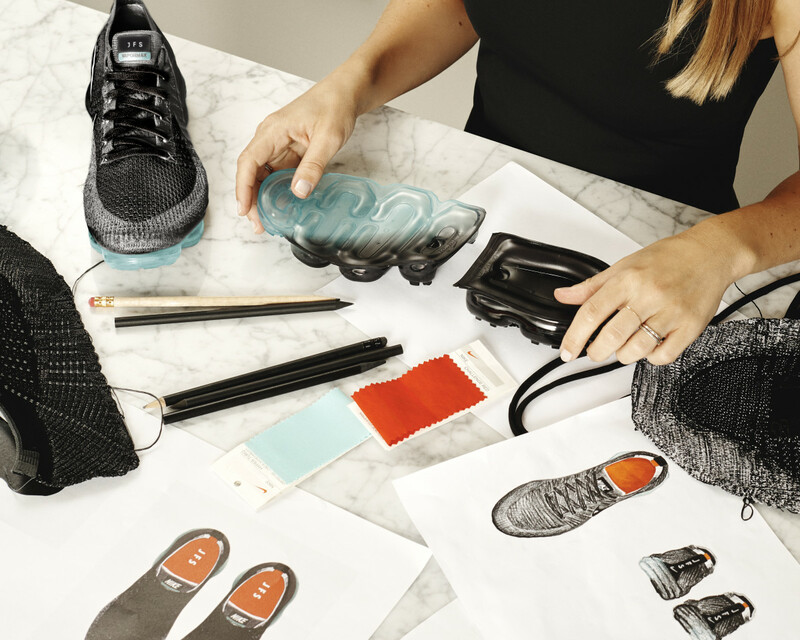 Both technologies are revealed in this shoe in an intuitive, simple and beautiful way." 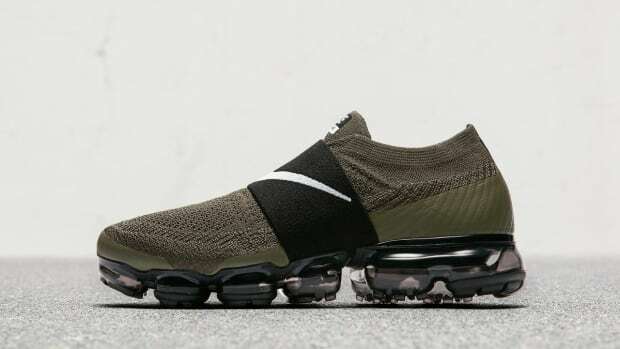 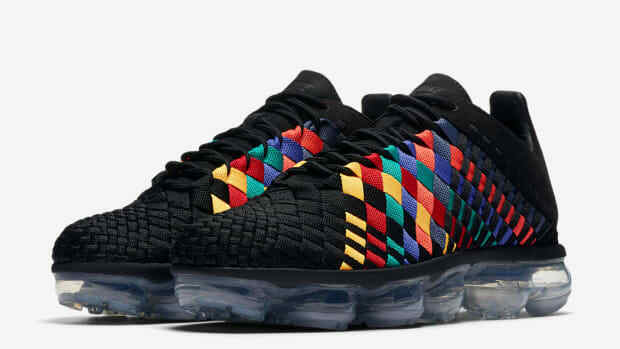 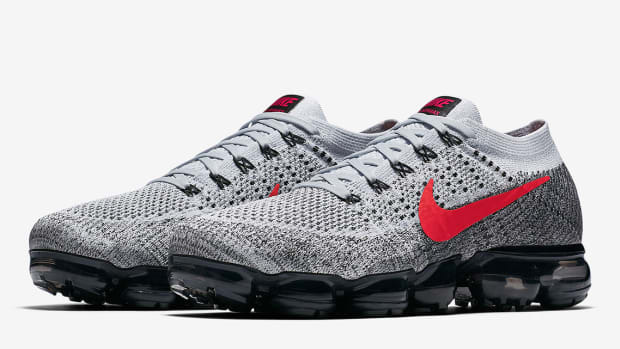 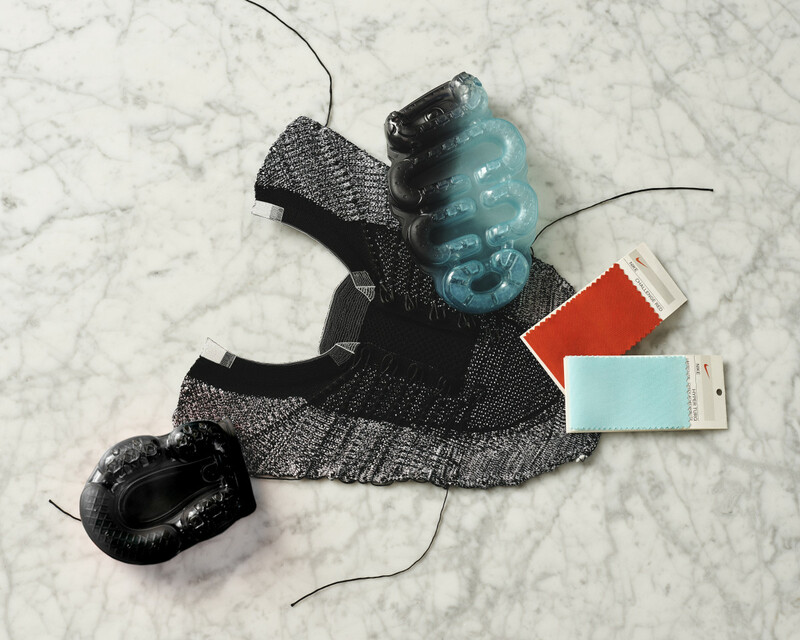 Her take on the shoe, offered through NIKEiD, features a heathered black and grey knit upper, contrasted with a VaporMax unit finished in a choice of hyper turquoise or hyper orange (or clear) at the toe, paired with black at the remainder of the bag. 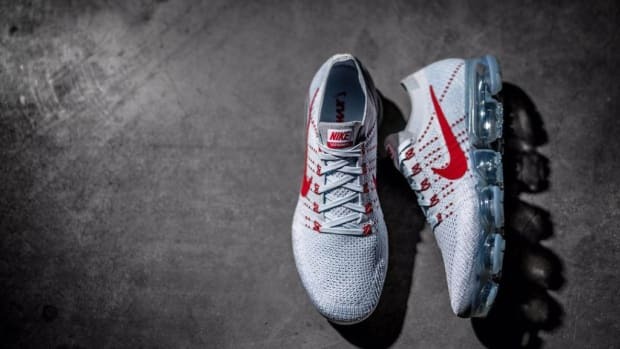 Shoppers can also apply mint foam, hyper orange and anthracite colors for the heel piece, heel accent and tongue label, as well as glossy black or hyper orange on the Swoosh. 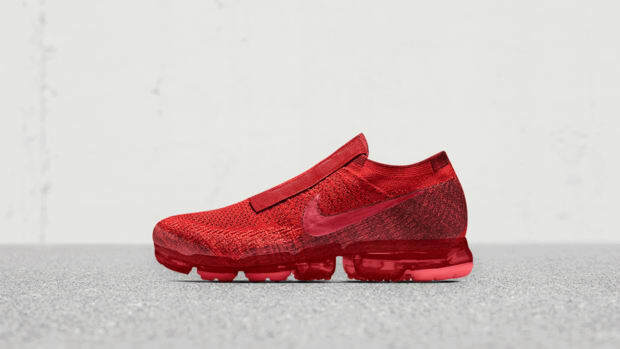 The Nike Air VaporMax by JFS is available now exclusively to NikePlus members, and will be available starting September 7 on nikeid.com.